With one final long weekend of summer, we are ready to send the season off with style! Where is the best place to take in the last fleeting moments of summer? The Hamptons of course! Poster Child Magazine’s Junior Fashion Correspondent, Ella Mendelsohn, shares 3 looks perfect your last hooray weekend away! This blush pink dress is perfect for the Hamptons! It can easily be dressed up for a nice dinner, or dressed down for a walk around the tiny towns with your fam! Also, how amazing are these satin lace shoes? They are definitely a piece I would love to have in my closet. The same goes for this sparkly crossbody bag! 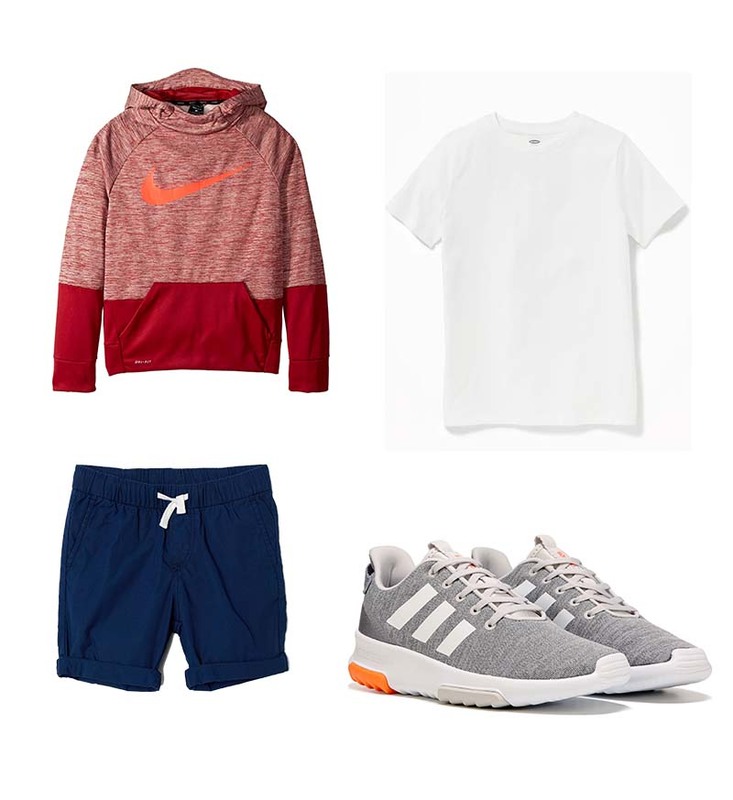 Next up is an outfit that is perfect for a long weekend! 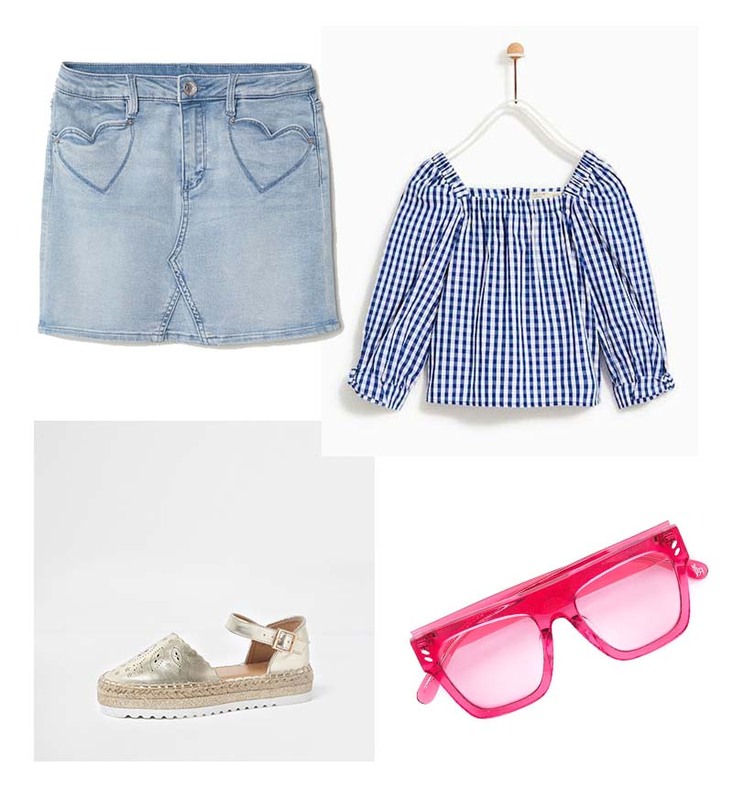 These gold sandals go with everything and look awesome with this blue plaid blouse and bright sunnies! The denim skirt is a great wardrobe staple, and my favorite part is the cute heart detail on the pockets! This is a classic Hamptons look for boys. The blue shorts are perfect for the beach or town, and the hoodie will be sure to keep you warm on chilly nights!